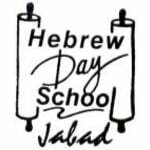 Established in 1992, Hebrew Day School is a multilingual private Jewish day school in Escazú, Costa Rica. HDS offers an individualized education program for students from toddlers (age 2) through sixth grade seeking educational excellence through the implementation of an integrated curriculum of Judaic and General Studies. We aim to educate each child according to his/her own style of learning, thereby bringing out their fullest potential and their desire to succeed. Through the guidance of caring teachers and staff, the students successfully learn to read, write and verbally communicate in English, Hebrew and Spanish. Our small classroom settings ensure more one-to-one attention from the teachers as well as more time for instruction. Educators are better able to tailor lessons to fit individual needs, and students can form stronger relationships with each other as well as with their teachers. We are committed to educational excellence and the development of the whole child academically, socially, emotionally, artistically, physically and spiritually. Our extracurricular activities are an integral part of our educational program.